The Ford Piquette Avenue Plant is the birthplace of the Model T, making it one of the most significant historic automotive sites in the world. It is the oldest auto plant open to the public in the United States. It is a 501(c)3 non-profit corporation and is not affiliated with the Ford Motor Company. It is dedicated to the preservation of the birthplace of the Model T and the interpretation and celebration of Detroit’s automotive heritage and spirit of innovation. The plant is among the top tourist attractions in Detroit. It draws over 18,000 visitors annually and has attracted tourists from over 80 countries. The Piquette Plant is a designated National Historic Landmark by the U.S. Department of Interior. It is listed in the National Register of Historic Place and is a Michigan State Historic Site and designated Detroit Historic District. 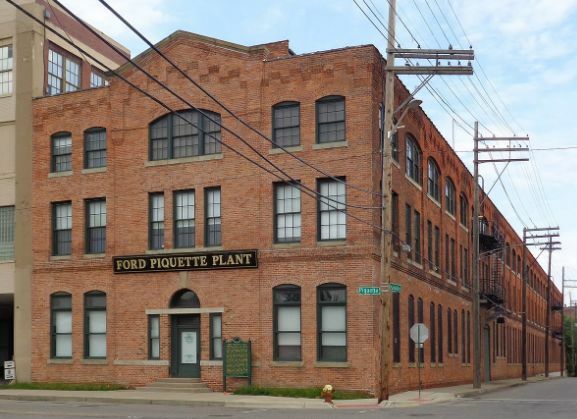 Built in 1904, the Piquette Plant was the first factory that was built and owned by the Ford Motor Company. The three story 68,000 square foot New England mill style building is located in Milwaukee Junction, the cradle of Detroit’s early auto industry. While at the Piquette Plant, Ford became the largest manufacturer of automobiles. 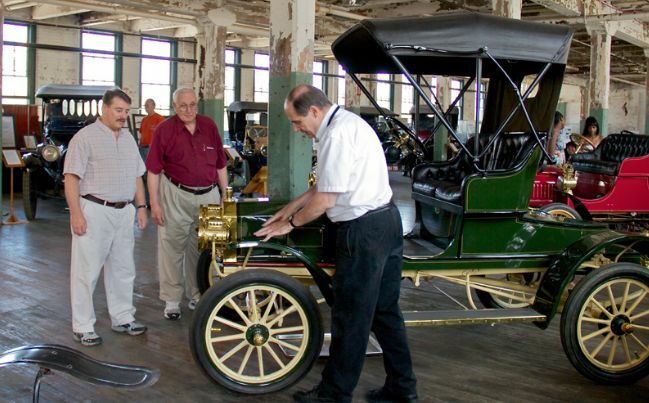 The Piquette Plant is recognized as one of the most significant historic automotive sites in the world since it is the birthplace of the Model T. Early automobile models B, C, F, K, N, R, and S were all built at the Piquette Plant. Automobiles were assembled by hand at stations by a team of workers. Ford Motor Company became the world’s largest manufacturer of automobiles here at the Piquette Plant, setting the world record for car production when they produced 101 Model N,R, and S’s in ten hours in June of 1908. In 1908, after more than a year of secret development, the first Model T drove out the factory’s doors and revolutionized transportation. The inexpensive, light weight and durable Ford Model T became the car that put the world on wheels. Many innovations were introduced at the plant related to engineering. Harold Wills, the head engineer and metallurgist, used vanadium steel in frame manufacturing. Edward Spider Huff developed the flywheel magneto for the Model T, eliminating the need for batteries. Some of the first women to work in the auto industry fabricated magneto parts at the Piquette Plant. They were referred to as the “Magneto Girls”. Demand for the Model T quickly outgrew the factory’s ability to produce them. In 1911, Ford Motor Company relocated to the Highland Park Plant and sold the factory to Studebaker. When production moved over to the Highland Park Plant, automobiles were eventually manufactured on a moving assembly line. After many decades, the building fell into disrepair and it looked as though demolition might be inevitable. In 2000, however, a small group of dedicated volunteers, preservationists, and Ford enthusiasts banded together and purchased the building.